Adorable little Anya Montelara, now 6, was born in Russia with a birth defect called tibial hemimelial, which means she didn’t have tibia bones and certain tissue in her lower legs. In November of 2010, Anya was adopted by Montgomery parents Jaime Demick, a physics professor at Huntingdon, and her husband Felix Montelara (Jaime kept her maiden name). Felix is a federal law enforcement agent based in Montgomery. The couple also have a seven-year-old son, Nick. Several months after arriving with her new family, Anya underwent surgery to amputate both legs below the knees. This gave her the option – through prosthetics – of being mobile and living a much more active life. Staffers at Alabama Artificial Limb first told the couple about an organization known as Magic Moments, a non-profit that grants wishes to Alabama children with life-altering medical conditions. Anya, they said, might be a candidate for a wish. Mother Jaime contacted the group and filled out an application. Early this year they learned that Anya’s “Magic Moment” had been granted. 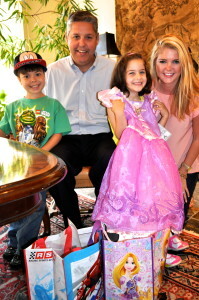 She, her big brother and parents would receive a week-long stay at Disney World. The trip took place in June. To say it was the thrill of a lifetime for Anya (and her brother) would be an understatement of Goofy proportions! “They absolutely cried when we had to leave,” said Jaime. The trip was made possible by the generosity of local business Industrial Partners, which not only underwrote the costs of the trip but hosted a memorable send-off or “reveal” party for Anya and her family in May. Frazer joined the Montgomery regional board of Magic Moments last year, so he knew all about the mission of the organization. Before boarding a flight to Orlando, Anya was the guest of honor at a special party hosted at the Industrial Partners office. 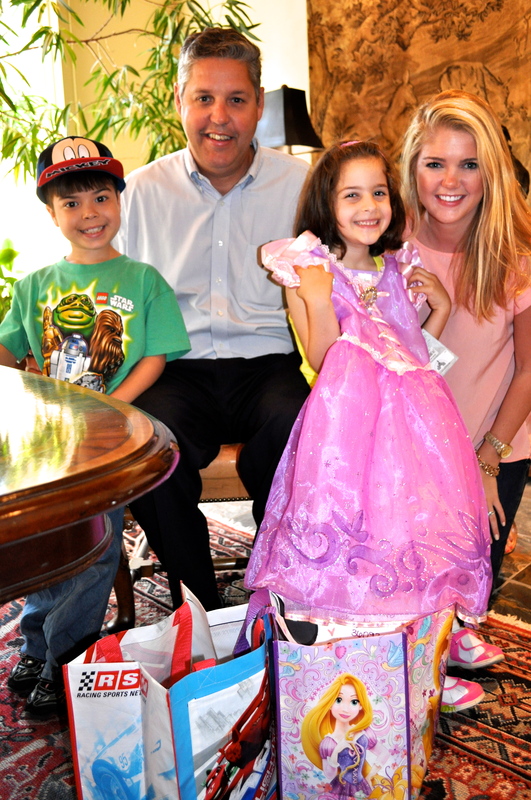 Staffers, including Frazer’s daughter Mary Blan Frazer, purchased several Disney-themed items such as T-shirts, hats and even a princess dress for Anya. They also had a cookie cake made just for the event. The business also purchased a gift card to be used at Disney World by the family (more on that card later). “All of this is for us?” said wide-eyed and appreciative Nick upon seeing all of the goodies, remembers Mary Blan. “You want to make it a big-deal for them,” she added, mentioning that the office staff also provided a count-down calendar to the big trip. “We can’t thank Nim and his company enough,” said Jaime. The trip itself was a journey into a happy fantasy land. “It was like entering an alternate reality – that’s about the only way I can describe it,” she said. Magic Moments’ families get to stay at Give Kids the World, a separate villa on the sprawling grounds of Disney. The room where they stayed, which had recently been re-designed, “was really nicer than the home we live in,” said Mom. Give Kids the World features a Ginger Bread House where families eat (all meals included), a Candyland playground (designed to be used by children with special needs), giant lolly pops, etc. Every night – a special holiday (including Christmas and Halloween) was celebrated. One night the children participated in an American Idol type talent competition. Each night their children were tucked into bed by a Disney character. When the family returned from visiting one of the theme parks, they discovered that Disney “fairies” had visited their rooms, leaving behind gifts. As memorable as the amenities and other special touches were, mother Jaime said she was deeply moved by the volunteers in the village. These volunteers, at their own expense, come from around the country to make sure children with medical conditions have even more fun than they would otherwise. In fact, she was so impressed by the giving spirit of the volunteers, she and her husband plan to volunteer at some point in the future. “That’s probably something most of your readers don’t know about,” she said. “This might be be something church groups or other organizations might consider doing themselves,” she said. Jaime said the trip was special for other reasons as well. Anya’s medical challenges are actually not nearly as life-altering as many of the other children they interacted with, said Jaime. Anya, who has “princess” prosthetics, is doing quite well and is getting around better every day, said her mom. The 6-night trip also included free passes to all Disney-owned Parks, as well as other area tourist destinations. For example, the family also made a trip to Sea World (where feeding the dolphins and other Marine animals was one of Anya’s favorite activities). It rained a great deal while they were there. One day, the family decided to travel a bit and tour the Kennedy Space Center, a side-trip also included at no expense to the family. About that gift card Industrial Partners provided: The family used it for a Pirates of the Caribbean make-over for the kids, who got to dress up in authentic pirate gear complete with make-up and their own wardrobe assistants. The pictures themselves were worth the trip and the family has hundreds as Disney provided a disk full of all the pictures taken of the family during their stay. 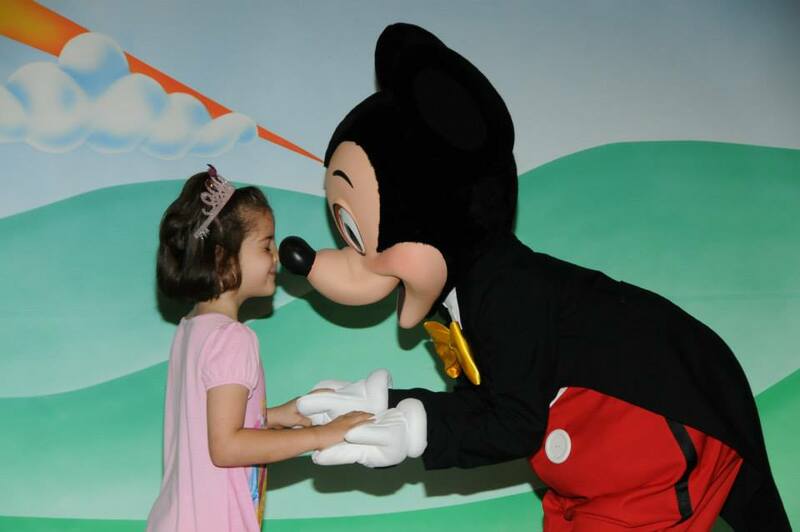 When visiting all the attractions at Disney, Magic Moments kids got the red- carpet treatment as staffers make sure they don’t have long waits and that any special needs they might have are accommodated. “They’ve thought of everything,” said Mom. After such an amazing and unique experience it’s not surprising at all that her children would shed a tear or two on the day they had to leave and come home. “I felt like crying too,” laughed Jaime. Once back in town, the family made sure that Frazer and his employees got to view all the pictures. “We were happy to help make this Magic Moment happen,” said Frazer, who also encouraged other citizens and businesses to consider sponsoring a family for a similar trip (or other Magic Moments wishes). As the pictures that accompany this story show, Magic Moments are indeed possible, moments that no doubt will be remembered and treasured for a lifetime! For more information on Magic Moments, visit: www.magicmoments.org or call the state office in Birmingham at 205.638.2430.